Claim: Israel is the only "true democracy in the Middle East" in the Middle East. Over the entirety of its 67-year existence, there has been a period of only about one year (1966-67) that Israel has not ruled over large numbers of Palestinians to whom it granted no political rights simply because they were not Jewish. Prior to 1967 and the start of Israel's occupation of the West Bank, East Jerusalem, and Gaza, Palestinians who remained inside what became Israel in 1948 were ruled by martial law for all but one year, not unlike Palestinians in the occupied territories have been for the past 48 years. Today, there are more than 50 laws that discriminate against Palestinian and other non-Jewish citizens of Israel, dealing with everything from land ownership to education, to housing and family reunification rights. No fewer than three Israeli prime ministers have warned that Israel’s undemocratic rule over Palestinians in the occupied territories would turn Israel into an “apartheid” state if it continued. The first to use the term, Israel’s first Prime Minister David Ben Gurion, did so soon after the occupation began - nearly 50 years ago. Claim: Netanyahu wants to return immediately to direct peace negotiations with the Palestinians without preconditions. 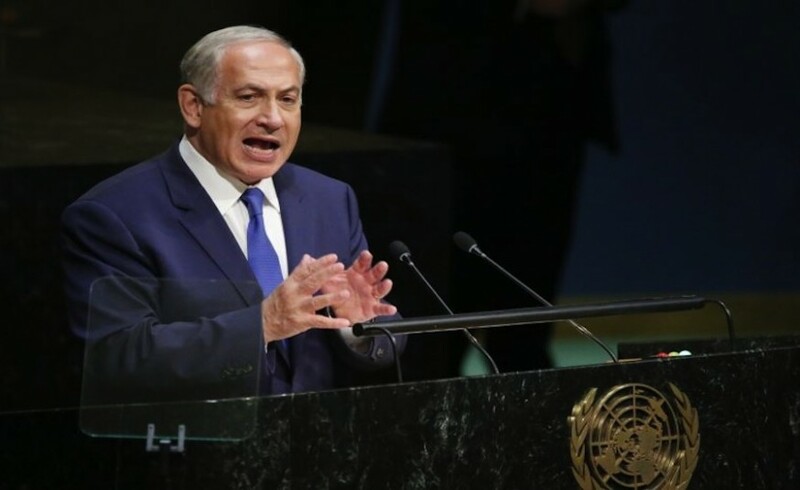 Benjamin Netanyahu opposes the creation of an independent Palestinian state in the occupied territories, as does his Likud party and the vast majority of his hardline right-wing government. Reiterating his position in March 2015, he told an interviewer that if reelected he would never allow the establishment of a Palestinian state as long as he is in office. 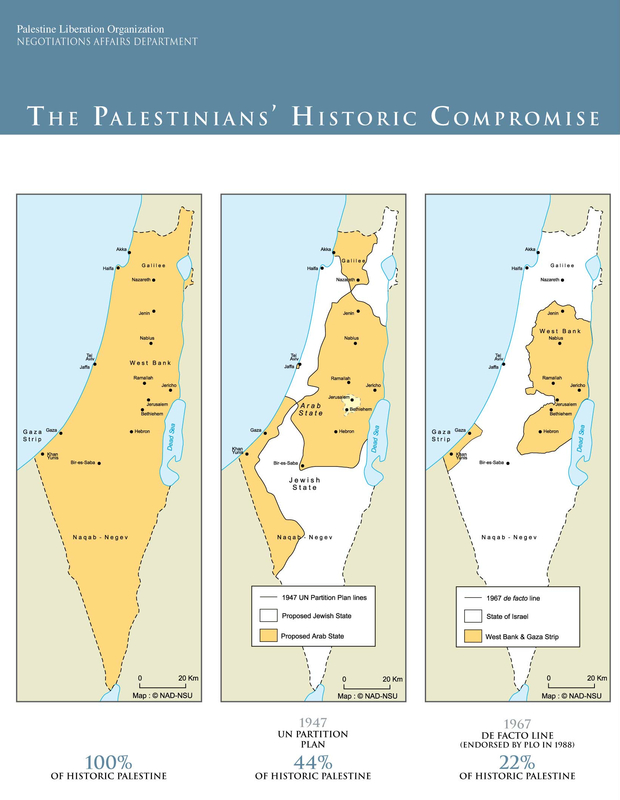 Netanyahu has set numerous preconditions on the final outcome of any agreement that would be reached through negotiations, including repeatedly stating that he will never relinquish control of occupied East Jerusalem, Palestinian refugees will be denied their legal right to return to lands they were expelled from during Israel’s creation, and Palestinians must recognize Israel as a “Jewish state,” thereby formally acquiescing in the permanent second-class status of Palestinian citizens of Israel, who comprise approximately 20% of the population. Israel benefits greatly from direct, US-sponsored bilateral negotiations. As the much stronger party and close ally of the US mediator, Israel can impose its will and drag out negotiations endlessly, while ongoing talks provide cover for Israel to continue expanding settlements on occupied Palestinian land without suffering international censure as a result. Claim: Israel wants peace but "Palestinians have consistently refused to end the conflict and make a final peace with Israel." Successive Israeli governments have systematically destroyed the two-state solution through the construction of Jewish settlements on occupied Palestinian land that is supposed to comprise the Palestinian state. Today, there are approximately 650,000 Israeli settlers living illegally on occupied Palestinian land in East Jerusalem and the West Bank. Netanyahu’s current coalition government is the most racist and extreme in Israel’s history, with a majority of members categorically opposed to Palestinian statehood or self-determination of any kind within historic Palestine. Claim: Israel respects the “freedom of worship of all” peoples, including Palestinians, at holy sites in occupied East Jerusalem. Israel routinely violates the religious rights and freedoms of Palestinians in East Jerusalem and the rest of the occupied territories. Israeli authorities frequently prevent access to the Noble Sanctuary to Palestinian residents of East Jerusalem by implementing age and gender restrictions that prohibit men under a certain age, such as 40 years old, from entering to worship. The Israeli government also denies millions of Palestinians in the occupied West Bank and Gaza access to East Jerusalem and its holy sites. Millions of other Palestinians living in Jordan, Lebanon and elsewhere in the diaspora are similarly denied the right to worship freely at their holy sites in Jerusalem, Bethlehem, and elsewhere in Israel and the occupied territories. Claim: Palestinians are inciting violence in occupied East Jerusalem. The immediate cause of the recent unrest in East Jerusalem is growing provocations by messianic Jewish fundamentalists who want to build a temple in the Noble Sanctuary mosque complex, known as the Temple Mount to Jews, one of the most sensitive holy sites in the world. Over the past decade, these extremists have grown significantly in number and influence and today include adherents in Netanyahu’s cabinet. As a step towards their ultimate goal of replacing the Noble Sanctuary with a temple, they have been agitating for increased access to the Noble Sanctuary for Jews, and the right for them to pray there, something that is prohibited by Israeli law, and until recently, the vast majority of rabbis. These provocations around the Noble Sanctuary take place in the context of Israel’s 48-year occupation of East Jerusalem and its discriminatory treatment of Palestinians living there. 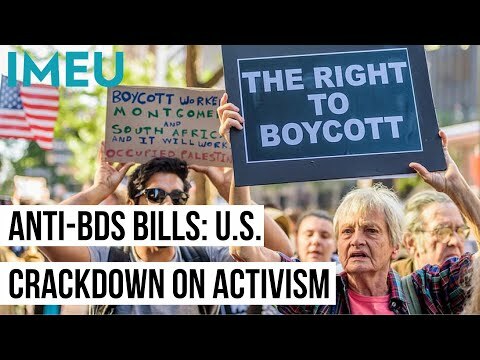 With a lack of progress towards ending Israel’s repressive military rule and growing numbers of visits to the Noble Sanctuary by right-wing Israeli extremists who are planning to build a temple there, frustrations boiled over in the form of civil unrest, mostly by young people who have lived under suffocating Israeli military rule their entire lives. For further reference, see our recently released fact sheets From Oslo to Apartheid, Misperceptions Regarding Tensions Over the Noble Sanctuary, and Expert Q&A: On Palestinian Authority President Mahmoud Abbas’ 2015 UNGA Address. See also our previously released fact sheets, Does Netanyahu Really Support the Two-State Solution? and The New Israeli Government: Consolidating Apartheid.